As I browse, I’m thinking about the lens the author is looking through to tell the story of the recipe. That’s why cookbooks are invaluable! We can all go online and grab recipes. But here’s what’s important: what’s the point of view? What is the author looking at? What do they have to say? What’s the quality of the writing and the photography? What’s valuable about this one? How well are the recipes tested? Those are my questions. These books made the cut. In curating this list for you, I’ve carefully selected books that I think you’ll find valuable, beautiful, and inspiring. In other words, fabulous gifts! From the brilliant British food author Diana Henry, whose books I devotedly collect. Why? Her recipes work. In her new book, the recipes ARE simple, and they deliver big, bold flavor, as promised. A great weeknight cookbook. One of my MOST favorite new books of the year, by brain doctor Drew Ramsey, MD — one of those rare physicians who is a genuinely good cook, writer AND serious foodie. His book is an appealing, informative hybrid about brain health plus delicious, useful recipes. Read my post, Eat Complete: A whole foods prescription for more. I’ve enjoyed chef/author Elizabeth Howes’ boldly redefined take on salads, which translates beautifully to the busy family kitchen. Full of flavor, color, crunch and health, this book has inspired many a meal since it joined my collection. Playful! From another deliciously-talented British author. Anna Jones’ book last year, A Modern Way to Eat, made it onto my top new book list, too. She’s very tactical and superb with vegetables, making this a valuable volume whether you are strictly a vegetarian or not. EVERYONE needs to eat more vegetables, and you can always add a side of protein of your choice. Excellent. I’ve collected all 6 of Naomi Daguid’s books, from the very beginning!. She’s a travel, culinary archaeologist. In reading and looking at her books, you are really going into that world, immersed into that culture, which is phenomenal in cooking. The book is beautiful, the stories are gorgeous, and you feel like you’re traveling with her. A simply marvelous gift. For the serious chef on your list, this might be the one. Lior Lev Sercarz has created an amazing gift book for any season, with exquisite photography and top-notch storytelling. This is not a recipe book, but a guide for the cook who wants to up their game with spices. This will NEVER be purged from my shelves. A keeper! 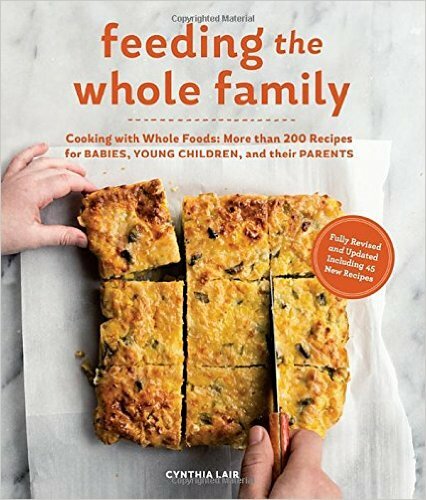 Looking for a cookbook for a family with small children? Look no further! THIS IS IT. I’m delighted to tell you there’s a newly updated edition this year of this all-time fabulous family cookbook, that takes the guesswork out of what to feed children at different ages and stages AND delight parents all in one volume. A winner! I always like to throw in a novel :) This is Monica Bhide’s first novel, but since she’s one of the best food writers around and one of my favorite storytellers (and a pen pal for 8 years), I couldn’t wait to get my hands on it. I LOVE IT. A sure bet for the food fiction reader on your list. Julia Child fan? This is irresistible, another absorbing read from her great-nephew Alex Prud’homme. A fascinating woman and a trailblazer, she inspired so many people and chefs and made such a MARK on the American food scene. People wouldn’t be doing what they’re doing now without her. Fun fact: Julia went to culinary school when she was 37 and I went to culinary school when I was 37. I LOOK FOR INSPIRATION. A POINT OF VIEW. A GOOD STORY. RECIPES THAT WORK. AND THE QUALITY OF A BOOK: NICE DESIGN, BEAUTIFUL VISUALS. I DON’T MESS AROUND. THESE ARE THE BEST! Newer PostGifts for the cooks on your list!